How did it all get so dark? From reports on the industry’s disastrous impact on the environment and incidents of abuse, to rethinking the system to no end, it seems that we seldom have much positive things to say about fashion, which has turned into a bit of a bad-guy. You can’t attend an industry event without coming across a comment on how it’s not the fun/exciting/glamorous industry it once was. Apparently, this fall from grace has not impacted the sales of luxury goods, but it one day likely might. Here are six things that have impacted the collective disillusionment and negative perception of fashion and how we can redeem it and turn things around. “No daylight on magic”, photographer and society figure Cecil Beaton once advised the Royal Family, as to say that when the observer is aware of the work, strategy, tricks and effort required for a result, the effect is lost. With social media and increasing transparency around the ins and outs of the fashion industry, the mystery that once made it so seductive has been weakened. While transparency has brought its benefits and many long-ignored issues to the surface, we need to put systems to address ethical issues in place to quell the need for too much exposure. For example, the mystique around fashion week is gone. From being depicted on everything from mainstream TV shows and the SATC movie, not to mention countless influencers and editors’ stories, there’s too much fashion stimuli. One’s imagination has no space to roam, there’s less impetus to dream and perceive certain luxury goods as exalted. Let’s remember that selling things to people is a as much a seduction as anything. A good seductress knows when to hold back. It could be that we’ve simply overused the word to a saturation point. At 534 million hashtags on Instagram and 5.3 billion Google search results, everyone is talking about "fashion". If fashion is inherently luxurious, and anything luxurious is scarce in order to be valuable, then by definition, fashion cannot be fashion anymore. Perhaps we need to define what we mean when we say “fashion” and start thinking in more nuanced terms: one’s personal style, sense of aesthetic, or daily expression through clothing. From the sexual abuse of models by photographers and psychological workplace abuse of junior employees, to perhaps the well-known widespread financial abuse that occurs, it’s a tall order to not see the industry as a bit corrupt. It’s hard to look at a campaign anymore without wondering if the photographer engaged in misconduct, or look at an editorial and not immediately pity all the likely ill-treated people that made it happen. Of course, having these issues come to light is a great thing - turning a blind eye is what got us to this extreme place in the first place. Hopefully with the new stream of movements and platform to address and deal with abuse issues, and greater mental health initiatives, they will greatly decrease in occurrence, and we can disassociate fashion from abuse issues. Due to its use of colossal amounts of water, its carbon footprint, the dyes emitted into water by the global textile industry and the garment waste it creates, fashion is the second largest-polluter in terms of industry, after oil and gas. While we have made admirable progress the past few years with innovative materials and tweaks in process, and a number of new circular initiatives, we still have a long way to go. Sustainable fashion options are either not affordable for some or the design isn’t there for them to be perceived as aspirational to many consumer groups. We simply need to keep going here, and push for more investment towards sustainable fashion. Does anyone really care about the “hot new colour for spring”, “how to dress like a French girl”, or “the season’s skirt shape”? 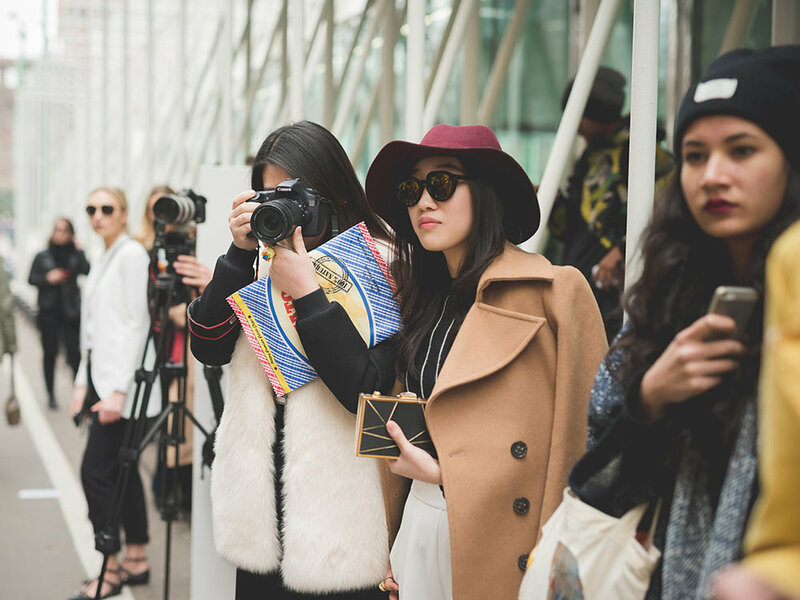 Let’s say it’s debatable, but it’s high time we accept that fashion is more personal. Trends are disappearing and people are starting to think more for themselves, which tribes their style overlaps with and what they want their outfits to say. Social proof and content help as prompts, but they’re not going to create gut-level reactions. Fashion used to be one of the primary ways to elevate one’s existence and experience of life. While it still is, a number of other options to self-actualize are gaining popularity. A focus on fitness, wellness, travel and general self-development is at an all-time high, and considering the aforementioned issues, these feel better to engage with than fashion currently does. It’s in our nature to polarize, to think in black and white, and romanticise or vilify. Much like in relationships when you initially idealise a partner and they can do no wrong until you come down and then suddenly everything bothers you. But if you stick through this comedown phase, you can build something deeper. Perhaps we are in a period within the industry where there is a wrecking ball of sorts breaking down all vulnerable foundations to build something new. Perhaps the return to beauty we saw in this past Haute Couture season is a signalling of this. A rekindling of the spark.